What makes the new iPad different? The launch of Apple’s latest third generation iPad, the interestingly named ‘The new iPad’, sees more revolutionary technological developments, as Apple updates its iconic tablet. In this article I am going to explore some of the exciting and innovative new features, which make the new iPad stand out from the crowd. One enhancement that is currently getting a lot of attention is the innovation that is the new ‘Retina display’ technology. The Retina display focuses on the increased clarity of large format display visuals. The new iPad features a sharply improved image capability which now has a 2048×1536 resolution screen and 44% improved colour saturation, with a superior 3.1 million pixels, within in its 9.7 (24.6com) display. Pretty impressive for a tablet PC. This technology means that from normal viewing distance, the naked human eye cannot detect any pixelation, as the screen produced images with outstanding sharpness, colour detail and quality. The improved display really enhances the viewing experience, and I think that it has set Apple ahead of its competitors, in terms of the quality of screen, at least for the time being. The tablet is designed to show HD media, and with its new awesome screen quality, the viewing of text, photo and video is to the next level! Aside from the Retina update, another key improvement is the 5-megapixel iSight camera – Apple are very creative with their names! The new camera features enhanced optics, auto white balance and a face detection features, turning your tablet into an outstanding digital camera. These updates have significantly improved the picture and video capture performance. Match that with the new Retina display, and it means that you can capture and play media in outstanding quality. 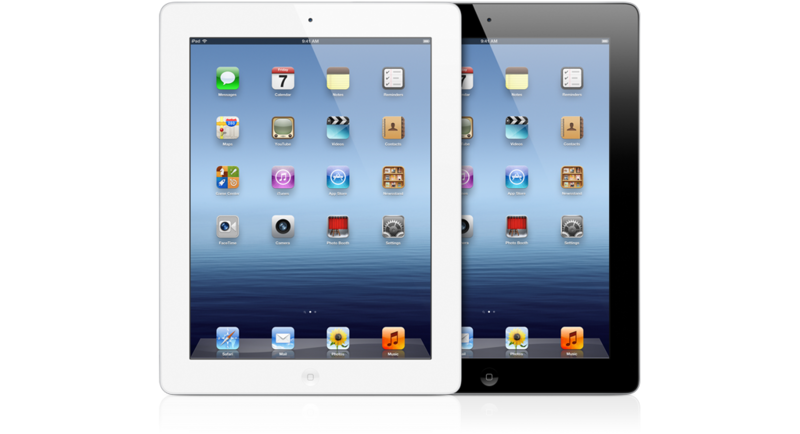 In the latest model of the iPad, Apple have inbuilt Wif-Fi + 4G technology. This technology helps ensure the tablet is able to get a fast network connection, so you can get a seamless uninterrupted stream. Streaming online video is smoother than ever, and VoIP becomes a more viable method of communication. Despite the outstanding screen display, the high quality camera, and the improved connectivity, something which many critics believe has let the new iPad down is its battery life. Like its predecessors, the new iPad can only handle 10 hours of media before it runs out of juice. The new features have been designed to be more efficient, however the battery life remains pretty much the same as before. Disappointing, or to be expected? This latest release of the iPad has given techies a lot to be excited about, which is probably why many people queued for hours to get their hands on one, as soon as they were released. Nick@How Do I Get Backlinks? Good overview of the benefits and features of the new iPad. I especially like what they’ve done with the retina display. It should make reading that much easier. The new display should really improve the viewing experience! There are some other interesting updates Chaz, but as you say, most people want to see the Retina display. Finally had a look at it today and I must say, I was amazed. The retina display in simple words is just “a very clear screen”. 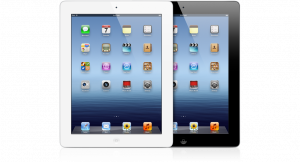 Also, Apple has increased the PPI of the new iPad to 264 making it the highest ever for a tablet PC. The new iPad sure has a lot of features that a lot of us wanted to see finally. I really like the Retina Display feature as it seems to be a really useful and innovative one. Just wondering about one thing.. does it have USB support?